Black and White 1 in. x 1 in. 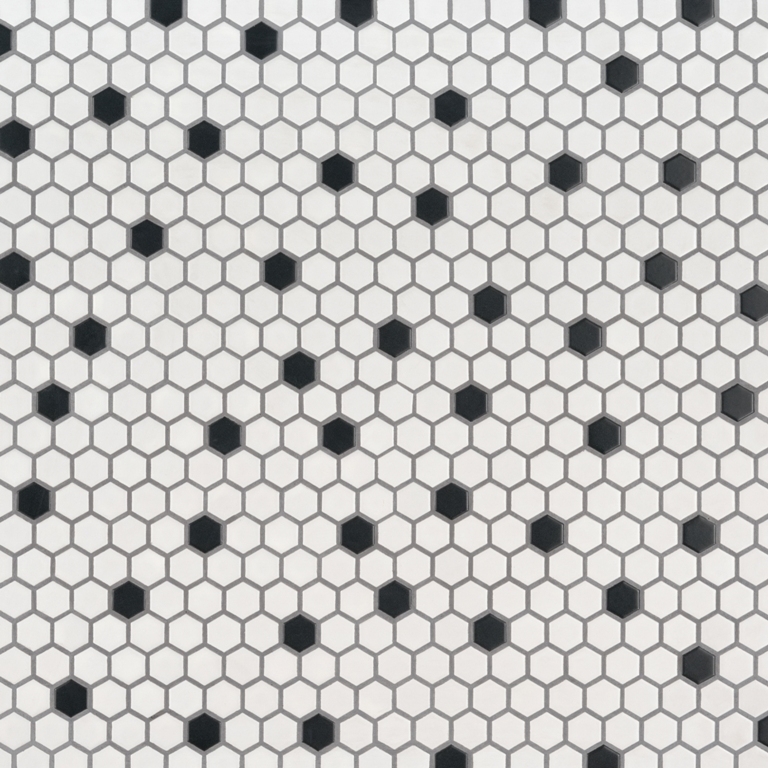 Porcelain Hexagon Mosaic Tile features white hexagons punctuated by black hexagons for a retro inspired look that’s modern-day fresh. With a welcoming matte finish and classic color combination, this mosaic tile is as versatile as it is eye-catching. Use it as floor tile, wall tile, backsplash tile, on countertops, or anywhere a punch of pattern is desired. In the kitchen, bath, or other space—residential to light commercial—these tiles work overtime to give your space a personality all its own. Tiles are mounted on mesh-backed sheets for simplified installation and a professional finish.